The US Environmental Protection Agency has issued a violation notice against Fiat Chrysler, stating that the company used management software in several diesel vehicles that reduced their emissions of toxic nitrogen oxides during testing, but allowed emissions to rise when the vehicles were on the streets. The company has denied any wrongdoing, but its shares fell 16% in value following the EPA’s announcement. A similar scandal engulfed German automotive giant Volkswagen last year, when it was accused of using software that detected when vehicles were being tested for emissions and altered their operation to run cleaner. The company was fined a total of $15 billion by regulators. 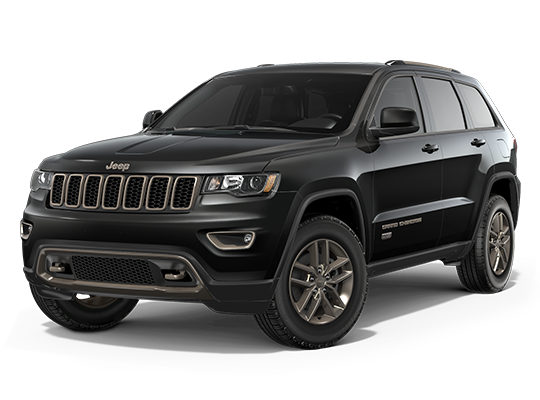 The EPA’s notice alleges that Fiat Chrysler used the contentious software in Jeep Grand Cherokee and Dodge Ram models, leading to increased NOx emissions for three years, 2014, 2015 and2016. Failure to disclose this was a violation of the Clean Air Act, it adds. The agency has the power to order the company to recall the vehicles – which would affect some 104,000 vehicles in the US – but has not yet done so. A recall order might follow a further investigation, it said. Fiat Chrysler issued a statement saying that it believed its emissions control systems met legal requirements. It added that reducing emissions during testing was necessary to balance the EPA’s requirements for low NOx emissions and engine durability, performance, safety and fuel efficiency. I thought it was the Jeep Grand Cherokee, not the Cherokee, that was affected – i.e. all 3.0 litre diesels models. Therefore your story and picture could be a bit misleading, I might be wrong though. In any case, I think we all know that all vehicle manufacturers have employed certain means to pass an emissions test, i.e. not just VW or FCA. Nevertheless, it’s just another excuse for consumers to sue manufacturers in an attempt to gain compensation even though in reality they didn’t purchase the vehicle based on its emissions specification, but rather for its mpg specification, speed, acceleration, drivability etc., if it was for emissions, the consumer would have never bought a diesel in the first instance. From a manufacturer’s perspective, I’m still on the fence – it could be regarded as clever engineering and design work in order to pass a test within the limits of current technology, or it is just a blatant disregard for the law and ethical engineering, I tend to think the latter. I wonder how many Chartered engineers work in these places that should have known better, and worse still, how much of the internal Governance and Management teams that knew about this and directed/encouraged/supported/signed-off on this – they should have known better and it makes a mockery of Engineering Institution specifications and what they really mean. It simply does not stand up to the typical ‘engineering code of conduct’ that exist, for example via the UK Engineering Council “Respect for life, law and the public good”, “prevent avoidable danger to health and safety”, “…prevent avoidable adverse impact on the environment and society” etc. does it? That last paragraph reads to me as “we are guilty”! There is a strong trend in the engine design community to add technology to an engine simply to pass the emission standards rather than to design the “best” engine for the application. I see the use of software that is intended to assist this as a simple extension of this and should have been foreseen. That said, I find it totally unacceptable that major automotive companies should get involved it the use of such methods to pass an emission standard. The companies involved have invested considerable sums of money to develop these cheats and it is inconceivable to think that their senior people did not know. Who signs off their budgets? What is interesting is that Volkswagen sales have not really suffered as much as the media predicted, which shows that the end user is not really interested in emissions, but cost, performance and image are still more important. I think this public outrage over the emission testing is an oversimplification. Politicians set targets and look at the problems we have now in the NHS, Railways, Social Services , schools etc. as their management respond to the targets rather than the problems. I also think there is a danger that the foot soldiers will get clobbered as sacrificial to those in power. If we want to reduce emissions and climate change exacerbation, we need to use our cars less, railways more, work at home etc,etc. Ah, but we need internet and then you are up against another problem. It has been increasingly harder to meet emissions standards. I am amazed at what they have acheived so far. What needs to happen is to tax fuel for emissions so that the larger the vehicle, more is paid and therefore there is a drive to reduce the size of the unit. It would also force trucks onto the railways for regular repeat business. Those that polute the most would pay the most. with respect to particulates maybe a water filter could be useful. Electrostatic cleaning? We are in the process of changing our use of fossil fuels. It will take time and there will be needs for the older technologies for some time to come. 2. Currently there is nowhere near enough rail capacity overall, let alone at the right locations, to take even 50% of UK freight. Not only that, the freight handling yards just don’t exist (remember the first and last part of every journey has to be by road unless you have a railhead at both origin and final destination ). Rail takes about 12% or UK freight, and most of that is bulk transportation of heavy materials. Handling costs and increased end to end transit time would add significantly to transportation costs if everything had to go by rail. For diesel engines there already exists a Diesel Particulate Filter (DPF) and is already fitted to Euro 6 level vehicles. This leaves the exhaust as clean as a multi-point fuel injected gasoline engine. For the newer generation gasoline engines which feature Gasoline Direct Injection (GDI) engines which are high in particulate emissions there is a Gasoline Particulate Filter (GPF) but this is only sometimes fitted. Tests done by ADAC in Germany show that a diesel vehicle fitted with a DPF emits less particulate matter than a GDI engine without GPF. Not withstanding the unethical behaviour of these companies ‘rigging’ the test results, the legal system in the USA with its enormous damages, and now with the mega fines being applied to companies like BP (Macondo disaster) Volkswagen (emissions), Nat West Bank (sub-Prime bonds), Barclays (Libor). It won’t be long before most companies abandon the USA as a market or markedly increase their prices there. Many medical device companies will not sell their products into the USA now for fear of litigation and if DJ Trump also cuts the margins of the drug companies too for operating in a risky field, then the USA consumer and the US medical patient will have to go abroad for treatment. I personally think this is a much smaller part of a long time game of fiddling the emissions tests which goes back to the 1970’s which companies have gotton away with for so long, and a combination of meeting targets which are set by politicians to an agenda, which isn’t environmental pollution control. More a case of corporateaucracy where large corporations have increased in power and dictate to Governments now, but the tide has turned with Brexit and Trump being elected along with other major world events and people have said enough is enough. Suddenly corporations are losing their powers over Government and are back tracking. Look at the environmental debate, once called global warming until it was proven all their predictions were wrong, then renamed climate change to continue with an agenda, people are sceptical about these wild claims. One point is why do they use CO2 to tax everything when it is not the worst pollutant? merely because it is the easiest to tax to gain the most income for the least outlay, proof it is all about money than the climate. In 1991, I invented improvements to a wet sump two stroke engine covered by Australian patent numbers Aust. no.657315 granted on 1st April 1992 and Aust no.663377 granted on 28th May 1993. In February 1992 I had written to Victa Motor mowers about my improvements to two stroke engines, and while in Sydney for the Shell Mileage Marathon, I call at there head office and saw one of the Director ( either Marketing, or Research and Development ) and explained what I proposed to do. Their Director was impressed, and gave me four of their latest motors. I modified two motors to my improvements and sent one back to be tested by Victa. Some time that year I received a copy of their test results dated 05/05/92, which confirming that the improved motor used less fuel, ran smoother, could be fitted with a more effective muffler, to reduce noise pollution, and produced considerably lower air pollution, than their two stroke motor, and lower than most four stroke mower engines. When I was in Sydney at the last of the Shell Mileage Marathons, I called in and saw the Director. He confirmed that the test results had produced the results I had claimed. I had hoped that they would offer two produce my improved engine under a license arrangement, there was a silence, and in the end I asked whether they were going to produce my improved two stroke engine, and was told, no. I was a bit taken by surprise, and asked, do not the tests confirm that my improved engine runs on less fuel ? The Director answered “Yes, but who cares ” he went on to say ” people fill their mower, and mow the lawn, nobody cares what mileage they get from a mower. ” I had to agree with him, although I felt it would be a good marketing tool. I then asked does not the engine idle smoother ? His reply was that Victa make an easy start system, and if an individual wanted to stop and talk to a neighbor, they should stop the mower motor, and restart it when ready to continue mowing. I then said what about the lower air pollution obtained by my improved engine, and again he said ” who cares, Victa did not have to meet any set levels, the government did not care, the people did not care, and until mandatory levels where set by governments, Victa did not have to change their motor. I then said what about the reduced noise levels due to the increased crankcase pressure, a more effective muffler could now be fitted without effecting engine performance, again he said “ who cares, Victa did not have to meet noise pollution standards.” This story is to no way reflect against Victa, who at least assisted me to prove my improved engine. My two patents cover the improvements which cover a wet sump two stroke engine, it has a sump like a four stroke engine, and does not burn the oil in the firing chamber like existing two stroke engines. The figures for imported small engines and spares for four years ago was $500 million dollars, I am amazed that Australian companies think that is not a market worth participating in. I wanted to make small numbers of the improved two stroke engine, but could not get realistic component prices, unless I placed orders for 1,000 parts, or enough to make 1,000 engines, and I simply do not have any thing like that sort of money. We are supposed to be a smart country, yet thirty years ago there were numerous makers of two stroke engines in Australia, there were three in Adelaide. Pope Motors, on Torrens road, Rover at Edwardstown and a company situated behind Coca Cola at Thebarton. With all the money spent on education we cannot even do what we could do thirty years ago. Why ? Does any one care ? This whole story of cheating and deceit with air pollution testing is a failure of innovation, the answers are available, but the people who make the decisions are not held accountable for the millions of people who have died or suffered as a result of air pollution. May be a criminal prosecution against some would get them focused on the real issue. Well, it seems to me that the entire situation concerning emissions is becoming a real conundrum. There is no easy solution and aside from the vehicle manufacturers almost all motorists together with other consumers of energy are partly to blame. Are we really concerned about emissions and about the environment? Let us consider the consider some the (perhaps less obvious) factors contributing to energy consumption and consequently to emissions. The demand for larger and more powerful vehicles continues to increase. Today’s vehicles are generally far more fuel-efficient than in the past. They are also far more powerful than comparable vehicles in the past. But every time the accelerator is pressed to the floor, fuel consumption together with the accompanying emissions, increases. So what exactly do we want? How many motorists are going to be happy with a small, low-powered city vehicle or runabout? We all love to consume energy; every kw of energy from conventional sources produces corresponding emissions. Once an internal combustion engine has reached efficient operating temperature the amount of fuel required to propel the vehicle should be drastically reduced. But no, instead we throw that (heat) energy away via the radiator. How many tons of fuel are simply wasted, and emissions produced because of this? Modern tires have been developed for reasons of safety and speed, but they also cause higher fuel consumption. Don’t believe me? Try pushing a vehicle equipped with cross-ply tires, then try pushing the same vehicle equipped with radial tires!!!!! There are so many factors, for example, “Just in Time Delivery” costs unbelievable amounts of energy all across the board. But how many major companies boast of their reduced costs because of JIT delivery? In fact all that has happened is the cost of storage has been pushed back down the chain to some small sub-supplier. e.g. an injection molder who cannot set up his molding machine multiple times each day just to produce a day’s worth of components for his customer. He would go out of business trying to do so. So he has to produce an economical amount of components and store them himself. A few decades ago our society existed and flourished without demanding JIT delivery. Think about traffic congestion; all over our planet there are millions of vehicles stalled in traffic jams every day. Adding lanes to motorways or building new roads does very little to address this problem since the number of vehicles and journeys made is increasing all the time. There will never be enough lanes in the roads, because there are simply too many vehicles. There we have the problem that needs to be addressed! Another correspondent mentioned that we need to use our cars less and the railways more. This is very true and will continue to become ever more obvious. Eventually the probable best solution would be a dense, efficient rail network for both passengers and freight. This would not necessarily require a huge new investment or new infrastructure. Even the existing rail networks are capable of carrying more traffic at higher speeds if they are run efficiently. In the case of freight, two lorries (trucks), trailers and containers would be moved by rail to major distribution centers for delivery to or collection by, the end customer. This is not a new idea, the (piggy-back) technology was in use in Europe and popular from the 1950s through to the 1990s. It is still in use today in the US and other countries. The resulting savings in energy consumption and emissions would be significant. In the UK and other European countries the rail networks were drastically pruned and reduced during the 1960s & 70s. At the time there was justification for closing uneconomical rail services. But how times have changed! Many of the then, sleepy villages or country towns are now populous commuter towns. And currently many of these communities have little or no efficient public transport services. Nowadays in these towns, how welcome would be the local railway station with a parcel service and a goods or freight or facility! Finally, there probably exist very powerful concerns who are not at all concerned about emissions. Today the auto industry, petroleum industry and their sub-suppliers are key foundation stones of every western economy. This situation has taken years to evolve and it will almost certainly take years to change it. It has to be asked again; are we really concerned about emissions and about the environment? If so then we needs must reduce our consumption of energy. So what exactly is it that we want and how do we propose to get there? The fix for the VW engines, software/mapping change for most engines seems so easy you wonder why they bothered to cheat. There must be more to the story that hasn’t come out yet. Perhaps the driveability, fuel consumption and adblue consumption issues are more significant than we have been told.